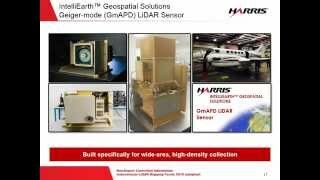 Harris' proprietary Geiger-mode LiDAR data collection delivers the most accurate high-resolution elevation data available from an aerial platform for land-use, urban, and emergency planning; civil engineering; transportation and utilities infrastructure management; and natural resource management. Geiger-mode LiDAR technology allows us to collect elevation data points across large areas of land from high altitudes with high-resolution results and point densities up to 100 points per square meter (ppsm). Areas exceeding 2,000 square miles can be captured in just one week’s time, allowing end users to obtain single-season data collection across wide areas. We offer custom-flight data collection of high-resolution LiDAR point cloud elevation data, off-the-shelf data sales for selected areas, and other custom value-added products and services for a variety of industries from our expanding library of calibrated point cloud data. Harris uses an innovative approach that achieves higher-quality results and delivers fine feature detail from higher flight altitudes, for the highest efficiency possible. The system offers a unique design that collects data tied with a multi-angle illumination pattern to improve foliage penetration, remove shadows, and eliminate voids, yielding the most uniform, accurate, highest-resolution LiDAR data on the market today. 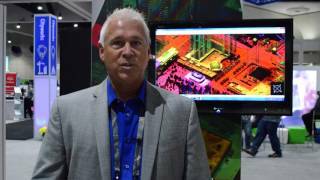 Click here to learn more about Geiger-mode LiDAR collection technology. Request sample data sets here. Our breakthrough LiDAR collection technology delivers high accuracy and increased detail. Our Geiger-mode LiDAR sensors collect data at high densities, reduce the amount of flying, and increase the efficiency of the data acquisition. Custom flight programs provide flexibility to meet budgetary needs to make the best use of available funding and provide opportunities for other uses. Our wide-area collection capability allows for single-season collection over large area. Our base calibrated product is unprocessed, unclassified, data elevation point cloud data for civil applications (topography, geology, environmental, flood, utilities, urban planning/modeling, TAC OPS – LOS, HLZ, DLZ, AOA). The data can be processed in your preferred system to produce multiple resolutions for subsequent downstream processing. Our base classified product is calibrated elevation point cloud data with classified terrain (ground points) to be used in a variety of products applications including topography, geology, environmental, and volumetric applications. The data can be processed in your preferred system to produce multiple resolutions. 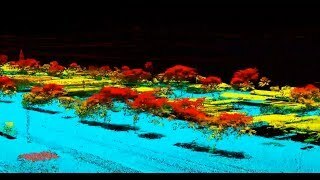 Our enhanced classified product is calibrated elevation point cloud data with classified terrain (ground points), vegetation, and infrastructure (buildings) for expanded applications for topography, geology, environmental, volumetric, forestry biomass, urban planning, 3D building models, utilities, and transportation. The data can be processed in your preferred system to produce multiple resolutions. 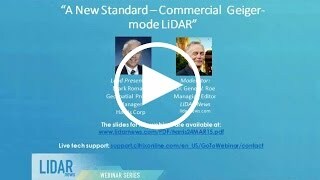 The custom collection potential from Geiger-mode LiDAR sensors opens a new dimension of remote sensing for information gathering to address a variety of specialty needs across many industries. Custom collection programs (up to 100 ppsm) reveal the fine details like utility poles and wires or traffic control structures and pavement markings to support asset and inventory management as well as monitor vegetation encroachments. Combine ultra-high-density collection with a high level of foliage penetration to achieve vegetation shape and density details to support species identification for harvest yield estimating or forest fire fuel management planning. LiDAR processed at nominal pulse spacing of 2 ppsm to 4 ppsm provides base mapping information for wide-area 2D mapping, urban planning, conceptual analysis, and emergency planning. LiDAR processed at nominal pulse spacing of 8 ppsm or greater with accuracy to achieve 1-foot contours for civil earthwork and grading plans, planimeteric products for pavement and building asset tracking, and 3D digital terrain and surface water models for water flows, wetlands, and slope design. LiDAR processed at higher density nominal pulse spacing, greater than 20 ppsm, provides highly detailed data for utility mapping, asset inventory management, roadway and bridge design, and detailed as-built documentation. When high quality and extreme accuracy matter most, Harris’ available LiDAR library offers cut-and-clip opportunities to meet project demands. Contact us to learn more about custom data collection options with up to 100 ppsm detail and vertical accuracy designed to meet your project-specific requirements. Harris' Geiger-mode LiDAR collects data that supports processing at high resolutions to produce multiple point densities to meet project-specific needs and budget constraints. This allows money to be spent on the exact project needs, while maintaining an opportunity for further data extraction at a higher point density for another application at a later time, as a project progresses to the next level of development.